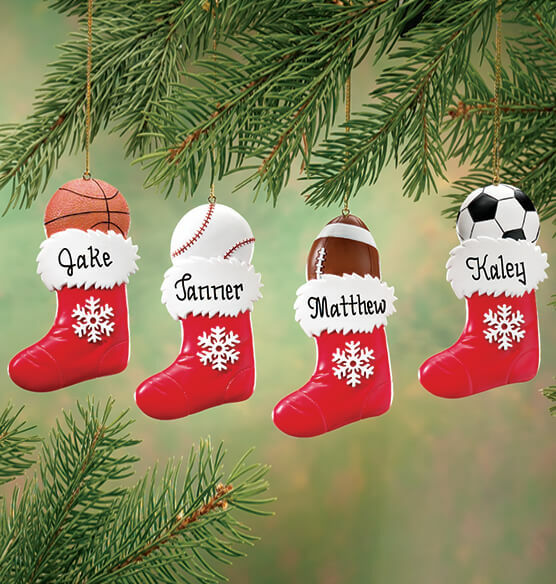 Win big with athletes and fans with a cute, personalized sports stocking ornament honoring their favorite sport. Resin. Stocking ornament is 2 3/8" long x 3/8" wide x 4" high. Specify name/message; limit 1 line, 10 letters/spaces. We’ll personalize this sports ornament for extra points!